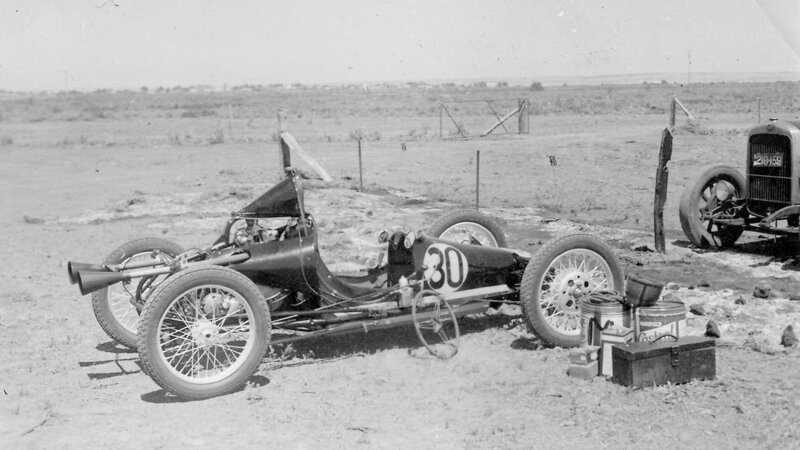 The Port Wakefield circuit was built because the South Australian Government at the time had banned motor racing on public roads in the state, this ban was not lifted until 1985 when Adelaide was planning for the Adelaide formular one street circuit. The 1.3 mile circuit hosted the 1955 Australian Grand Prix, this was the year Jack Brabham won his first Australian Grand Prix. 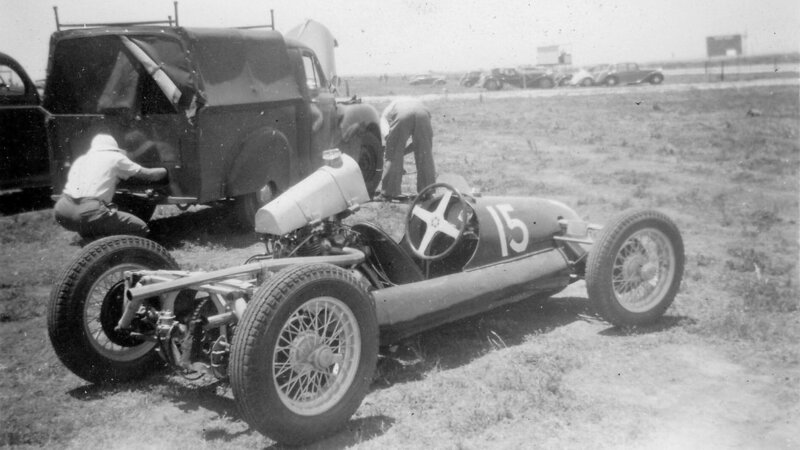 By 1961 a submission to hold another Grand Prix was rejected by CAM's, reason givern, the venue was inadequate for the National event, the venue then closed and some of the facilities were used at the new Mallala Circuit. 1953 - unknown. Photo: Ken Devine. 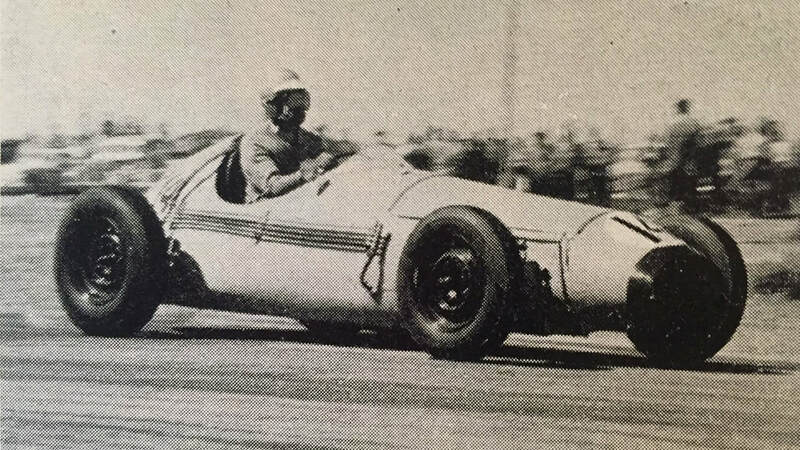 1953 - Dean Hogarth on the number 50 machine was also a speedcar racer. Photo: Dean Donovan. 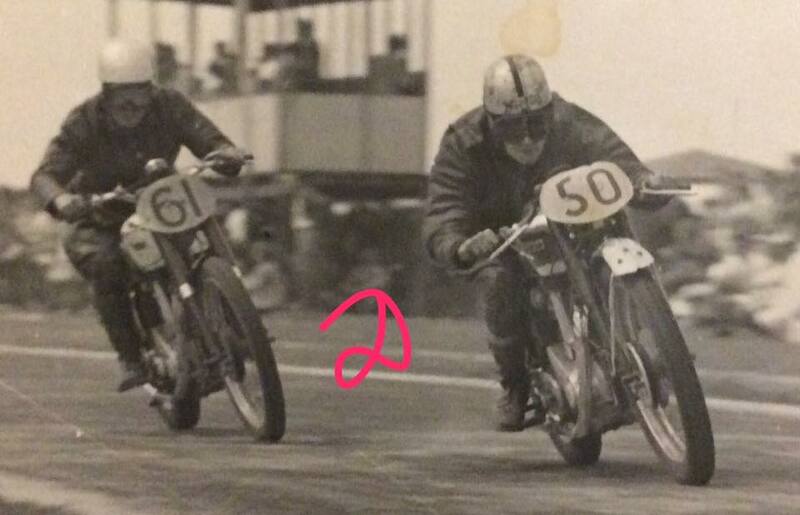 1959 - Dud Dansie's BBM Special in action at the Port Wakefield circuit. Photo: Graham Edney.